The FOCUS Plus 80-PLUS Platinum Power Supply efficiently powers up a desktop's internal components by offering up to 850W of energy through fully modular cables. The FOCUS Plus comes armed with six PCIe (8/6-pin) and ten SATA connectors to run graphics cards and storage drives. Other notable connectors include five for older peripherals, utilizing a 4-pin molex design. Aside from the connections, the power supply has a variable-speed fan and a fan-control button, so you can turn the fan off under low loads and on while gaming or editing videos. Additionally, it lets you improve the airflow within a system by removing unused cables. 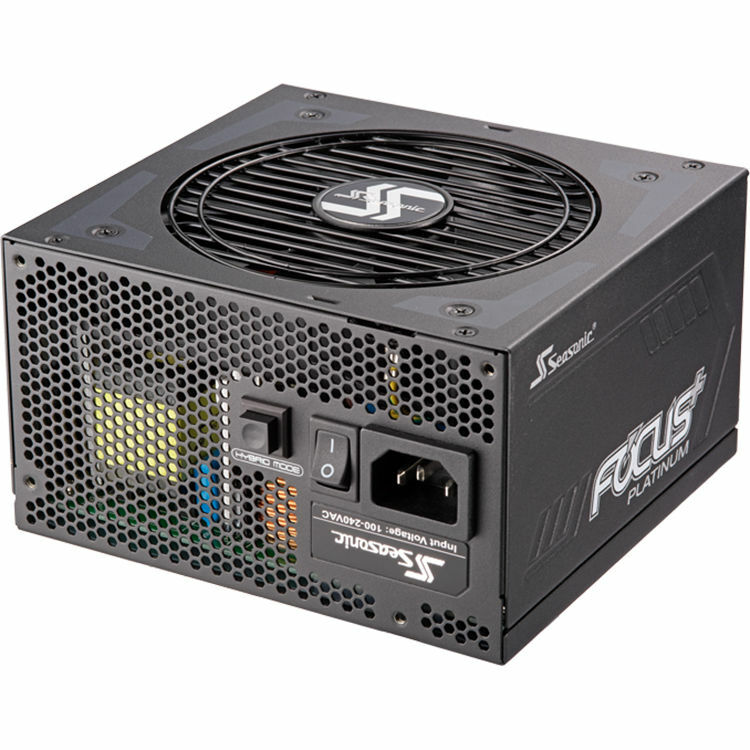 Box Dimensions (LxWxH) 12.441 x 7.559 x 4.488"
FOCUS Plus 850W 80-PLUS Platinum Modular Power Supply is rated 5.0 out of 5 by 2. Rated 5 out of 5 by Drew from Solid unit The unboxing and installation experience was superb. unit was basically plug-n-play, zero issues. It might seem like overkill but you dont want to cheap out on a psu. Pay for a good one that meets your needs and set-n-forget. This powers a i9 9900k and 2080ti nicely and the cables arrived practically pre-managed.